A group of students has just completed this year’s Business Ethics module for MBA electives, which ran from 11-15 April. 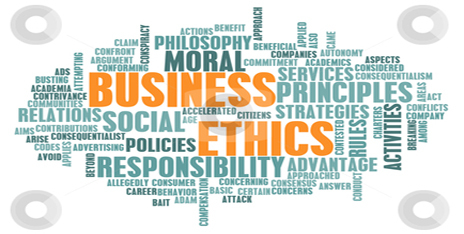 The module which is taught by Dr Sareh Pouryousefi, Assistant Professor in Business Ethics aims to help students adopt a systematic approach to ethical issues in business, and to develop their analytical and decision-making skills when it comes to taking choices about ethical matters. Using real-life case studies from the corporate world, it also draws on tools and approaches such as David Gauthier’s ‘morals by agreement’ and elements of game theory. Students on the module complete a 15-minute viva and a 3000-word essay, the latter looking at a moral dilemma and describing the critical decision-making path they would follow as a business manager. Among those who took the module in mid-April was Paul Lawrence, who was pleased he made the ‘last moment’ decision to sign up. ‘It turned out to be the highlight module of the year for me,’ he says. He was particularly impressed with the ‘dynamic, enthusiastic and motivational’ way the module was delivered, including through group work, presentations and strategy games. ‘It was fast paced, deep thinking, and it pushed boundaries,’ he adds. ‘Overall the module helped me to gain a fresh appreciation of why I made certain business decisions in the past, and it showed me how I would perhaps approach those problems differently next time. It also made me appreciate how diverse opinions can be around a single problem. ‘That was made clearer to me by the fact that there were students on the module from all walks of life – from businesses, NGOs, and the third sector – and from more than 15 countries, which showed just how important this subject has become in the international arena.